Ever heard of the 1212 Children’s Crusade to the Holy Lands? I hadn’t, until the publisher sent me a copy of An Uncommon Crusade for review. Elisabeth, Simon, and Hugo join an ill-fated commoner’s crusade to Jerusalem in search of wealth, glory, and redemption. But their dreams are destroyed when Elisabeth and Simon are sold into slavery and Hugo finds himself adrift at sea. From the dark forests of thirteenth century Germany, through treacherous alpine passes, to a sprawling estate in Egypt, three lives become linked in a desperate journey. The first half of this novel is based on the facts of the crusade. Tens of thousands of children followed charismatic twelve-year-old Nicholas of Cologne as he marched through Germany in 1212. He proclaimed that the Mediterranean Sea would open for them as the Red Sea had for Moses, and they would walk all the way to Jerusalem and reclaim it for Christendom. Even though the story is based on fact to this point, it dwells on several specific characters and what it must have been like for them. The second half of the tale follows three characters after the crusade fails. Did they still have faith? Did they still seek Jerusalem? How did their circumstances affect their lives? Did they ever find one other again? Thus, the story takes on a life of its own and provides space for fiction to flourish. An Uncommon Crusade is the winner of the 2011 Next Generation Indie Award in the religious fiction category. 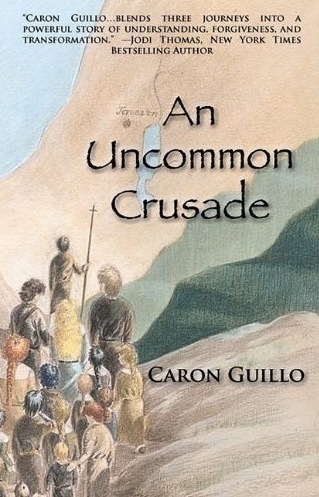 The author, Caron Guillo is my guest on today’s post at International Christian Fiction Writers, where we’re doing an interview and giving away a copy of An Uncommon Crusade. If you’re interested in more info about the story–or winning a copy!–please pop on over and join the conversation there. Hope, humor, faith and transformation infuse Caron’s writing. Based on her experiences as a wife, mom, traveler, teacher and spiritual journeyer, she touches readers with genuine warmth and honesty. 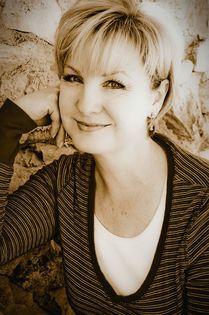 Caron is a Certified International Tour Manager and leads small group tours to Italy. She also loves hiking, chocolate and big views. Preferably all at once. I received a print copy of this novel for review from the publisher, Written World Communications. As always, the opinions are mine alone. Valerie, thank you so much for posting the review! You’re welcome! It was a fun read.